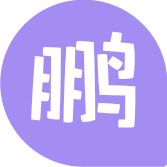 器材交流 - 新北仑 - 阿拉宁波网 - Powered by Discuz! Powered by Discuz! X3.4 © 2001-2017 Comsenz Inc. GMT+8, 2019-4-18 20:45 , Processed in 0.208058 second(s), Total 5, Slave 4 queries , MemCache On.